CBD Oil Review rates the PyoorCBD line with two stars because it qualifies for the Quality & Innovation Badges. 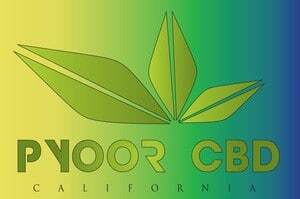 PyoorCBD is a CBD oil company focused on health and fitness conscious customer that range in price from $40-$99. 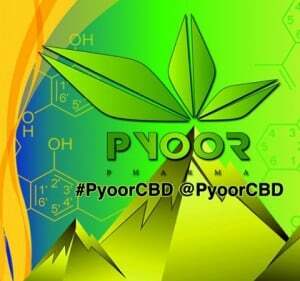 Pyoor CBD is an edgy cool cutting edge looking CBD oil brand that has a small catalogue of CBD products ranging from gold oils, sleep aids and berry drink mixes. Like most of the health conscious CBD companies PyoorCBD products are herbicide, pesticide, and nut free. While boasting Vegetarian and Kosher they also claim to be THC free, which is misleading. If they are infact using a CBD rich hemp oil, there will be traces of THC, just like every other CBD product using hemp oil. With that said the trace amount of THC would not be enough to matter. 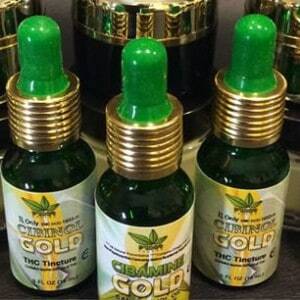 Quality Verified – PyoorCBD uses high quality Co2 extracted CBD hemp oil in all their products. Innovation Verified – PyoorCBD has created new innovative products such as a drink mix and a sleep aid. Might Not Be Safe – Like most PyoorCBD makes the claim of lab testing everything and yet they do not provide this information or link it to batch numbers. Making it impossible to know if the product you’d be taking are safe or not. Information Is Lacking – PyoorCBD’s website only consists of a few pages and even fewer words. On the surface, without more information and transparency, it is difficult to trust this company. The CBD Isolate is amazing!!! I think I’m their #1 customer. After there explanation of the differences between different kinds of Hemp and CBD I wouldn’t trust anyone else out there. 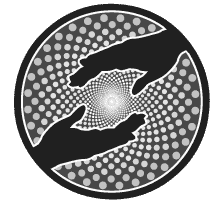 PyoorCBD really does care and they go the extra step to make sure your happy. Thanks Pyoor you guys rock!! Love there products. The 7 hour Sleep is amazing.